Rubber, meet road. The Tigers have three remaining games left (plus a makeup game, if it's still necessary) before the regular season ends, and they've got some catching up to do. In this week's episode, HookSlide is joined by Podcastellanos co-host Eric Wayne (@ComericaEric), in an attempt to mix things up a bit and hopefully restore some much-needed mojo to the Tigers. 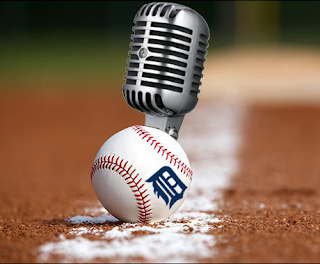 HookSlide and Eric discuss what needs to happen for the Tigers to get into the postseason, and who to root for if they get eliminated. The Cubs are the big story, of course, but there's a sleeper candidate that is probably more worthy of rooting for if our boys from Motown aren't in the picture. The highlight of the podcast? Eric finally, finally reveals his rankings of models of minivan. You don't want to miss that. - Why can't the Tigers beat the Indians? - Are we left to "sour grapes" now? - Does "second wild card" mean anything in the grand scheme? - If not the Tigers, who should win the World Series?